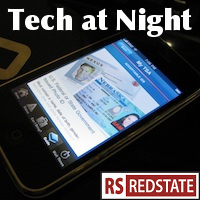 Tech at Night: CBS mad the law isn’t TOTALLY stacked in their favor. Net Neutrality remains a scam. Tech at Night: Suuuure Snowden wasn’t the source. FBI rolling up an Anonymous cell. Tech at Night: FCC’s Net Neutrality order is illegal. Wikileaks funding Snowden. Keep in mind that in the Time Warner/CBS dispute, CBS has a built-in negotiation advantage due to federal laws. So I don’t buy it when CBS claims that Time Warner is the unreasonable side. CBS’s complaints about what other cable companies do reminds me of the cartel-like “negotiations” done by UAW. I do appreciate the cleverness of giving out free antennas though. If only Aereo were huge right now. That’d be great for Time Warner to work with. Psst: Net Neutrality was always a power grab, and not a fact- and law-based endeavor. I love though how the left-leaning Daily Dot is outraged that Net Neutrality isn’t being used to push for more free stuff. I wish I knew enough about Colorado’s “Amazon Tax” to know whether I agree that it’s Constitutional. I sure know California’s ideas didn’t look it. Google Chromecast goes walled garden. Heh. This is odd: China is the victim of an online attack, not the attacker.